These are three of the most common English colloquial contractions, or sound morphs. Schools rarely teach these, but they are very important for fluent English communication, and we use these A LOT! While a lot of grammar nazis tend to think that these are incorrect, the truth is that it is perfectly okay to use these in any and all spoken English situations. It’s even common for native speakers to use them in informal writing (to friends, online chat, text messages, etc). The only area where you should definitely not use them, is in formal written English (reports, research papers, formal e-mails, etc), in which case, you need to spell them out in long form. If you don’t know how to listen and understand how native speakers use these, there is a lot that you won’t understand. Learning to use them correctly in your speaking and writing will make your communication much more effective. 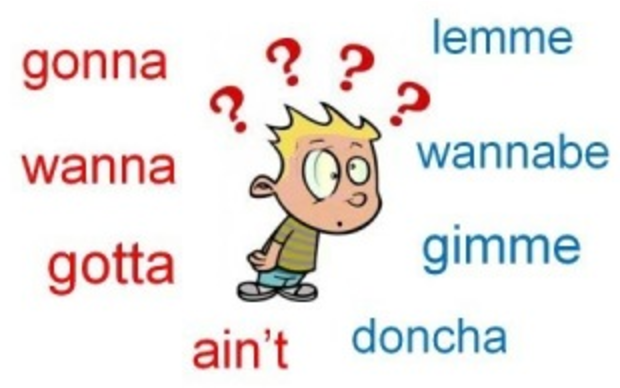 The first one we’re going to talk about is “wanna,” which we use instead of “want to.” In U.S.A. and a lot of other English speaking countries, the “nt” sound is completely lost (and pronounced as a flat “n”) when followed by a vowel sound. 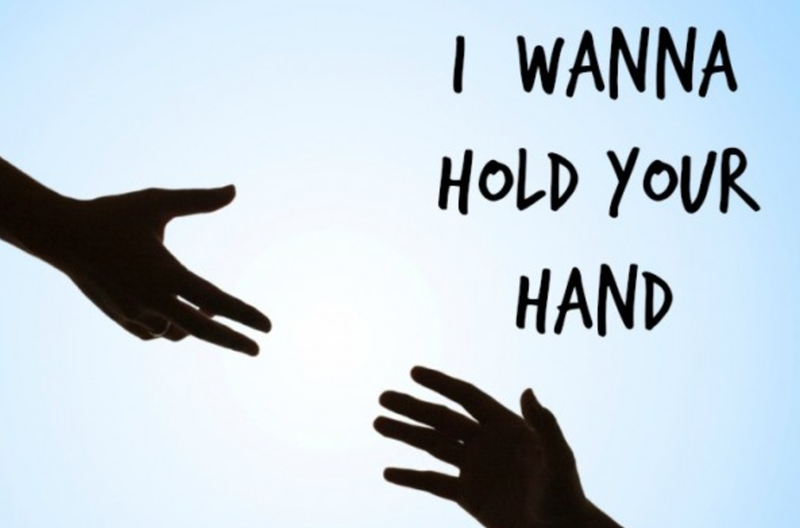 Check out a great example of “wanna” in the famous Beatles song “I wanna hold your hand” (the Beatles are British). The above examples are the most common, but there are other situations that have the same exact same pronunciation, but employ the large variety of meanings of the verb “get” when followed by the article “a.” Any use of the word “got” (past tense and participle of “get” + “to” or “a”) results in the same “godda” pronunciation. This is an excellent tool when you learn to use it correctly, but be careful, because it’s easy to get confused about a few small things. You can’t use gonna with the present continuous: a lot of people confuse the simple future structure of be + going to + verb for the future use of the present continuous with go. If this is still confusing to you, here are a few examples to help clarify. This is the only example that can use “gonna” and “going to” interchangeably because it uses the simple future structure to express intention for the future. This example uses the present continuous for fixed future plans/arrangements. This is how it’s normally used (without go, which can be a confusing way to learn this difference). If you are going to teach this, it’s much better to first use an example of the future use of the present continuous without go, or wait awhile. So now that you’ve learned a little bit about colloquial contractions, or sound morphing, we encourage you to pay attention to how native speakers use them. You’ll start to notice them everywhere. Remember, it’s totally acceptable to use these in any spoken situation, and also informal writing, but DO NOT USE THESE IN FORMAL WRITING! While it is important to know how to write formal e-mails, reports, and research, it’s just as important to communicate fluidly in informal situations. There is no good reason why the great majority of English schools, teachers, and blogs totally ignore these important aspects of the English language. Now “wanna, gotta, and gonna” are yours to use. First pay attention to how they are used by native speakers in your life (be it TV, movies, music, online interactions, or real world friends), and then start to play around with them. If you want to read more about this, and more native fluency secrets, check out 3 Powerful Fluency Secrets They Won’t Teach You in School. Very useful cosidering that these short forms are more and more used day after day. Thanks dear, I want to learn English more, Coz I am going to teach English in my school tomorrow, I gotta tell my children about wanna, gonna n gotta, let me do it! Hey Aisha! You got it! Good job and thank you for commenting! In examples to help clarify: I’ m going to go to Paris tomorrow. ( Correct: I gonnna go to Paris). Is it correct going to go and gonna go? In my opinion both sentences are wrong. Hey Maria, the correct is “I’m going to go to Paris,” and “I’m gonna go to Paris” (the latter being colloquial). The example above that you gave (I gonna go to paris) is needs to be “I’m gonna…” I hope this helps! Thank you very much for reply. My doubt is: Why do we use the verb to go twice? Going to go. But I think that was a coincidence. Paulo Coelho in his book ” The Alchemist” wrote a sentence using goingo to go. I show to my teacher and he said that is wronged. Now I realize that who is wronged is the techer. I admire you and your friends because do an excellent job for free. Your articles are wonderfull. very beautiful and nice explanation. Good collection of all the collocations! I learned that you were graduated from Boulder CSU. I'm thinking of it's ph.D program of English or TESL. How do you like Boulder CSU? Is it expensive to study there? Hey Janet, sorry for the late response. I didn't see it until now. Are you thinking about doing it at Boulder CU or Fort Collins CSU? Boulder CU was where I went and it was awesome. It is expensive for people who are out of state, but I moved there and lived and worked their for a year so I ended up getting residency. Let me know if you have any specific questions about Boulder and CU. Thak you so much, keep this wonderful work! My pleasure! I’m glad it helped! THANK YOU for this post. I’ve been teaching this for YEARS in my classes and my students love learning these contractions because they hear them in movies and songs all the time. It’s a shame, though, that SO MANY other teachers shy away from including contractions in their classes because they themselves NEVER ever use them. I’m a native English speaker (Canadian) and the book I LOVE to use for this specific topic is Whaddayasay by Nina Weinstein. It’s really old and I’ve got the “tape’ version of it (imagine) but it’s a great resource for anyone who wants to introduce REAL contractions in their classes.